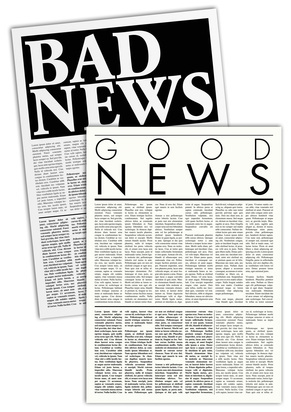 Discretionary debarment: Do you want the good news or the bad news? The Ministry of Justice is to amend the UK rules on public procurement to reflect the new Bribery Act. A ministerial statement published on 30 March 2011 clarified that conviction for failure to prevent bribery under section 7 of the Bribery Act would not automatically lead to exclusion from public contracts. Given debarment could be equivalent to a corporate death sentence (for some hundreds of millions of revenue or more can be wiped out) at first blush this looks like a welcome reprieve. The Public Contracts Regulations 2006 (the UK implementation of the EU Directive on public sector procurement), state that a supplier must be excluded if it or its directors have been convicted of the “offence of bribery”. How does this work in relation to the four offences created under the new Bribery Act? So: a conviction for a section 7 failure to prevent bribery offence will be a new ground for discretionary exclusion under the Public Contracts Regulations, not a mandatory exclusion. Sections 1, 2 and 6 offences will, it would seem, remain grounds for mandatory exclusion under the Public Contracts Regulations on the basis that in each case there will be a conviction for the “offence of bribery”. There are still plenty of questions about how all this will operate. •	How will the discretion be exercised, and by who? there is a dearth of information on the exercise of the discretion. •	Will public bodies be able to decide whether to exclude on a case by case basis? •	In practice will tenders simply stipulate that those with convictions under section 7 need not apply, making the discretionary carve out as useful as a chocolate teapot? •	How long will the exclusion last? for ever? the Scottish consultation on this issue points out, procurement law currently excludes certain offences “regardless of the date of conviction”. If this is anything to go by, it may be the case that debarment lasts indefinitely. •	Will a conviction under the Bribery Act no longer require disclosure once a number of years have passed (as is the case for some so-called “spent” criminal convictions for individuals – though working out whether this applies does involve a mind boggling maze of regulation). Set against this backdrop of uncertainty, the bad news is that the prospect of non-mandatory debarment could be like some of the other much publicised so-called dilutions of the impact of the Bribery Act. Not really there at all.